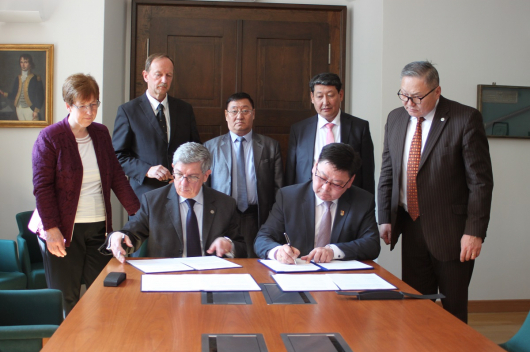 The Embassy of Mongolia and International Chamber of Media and Entertainment Industry signed a MoU as a sign of the growing relationship between India and Mongolia in their working together to promote their art and culture. 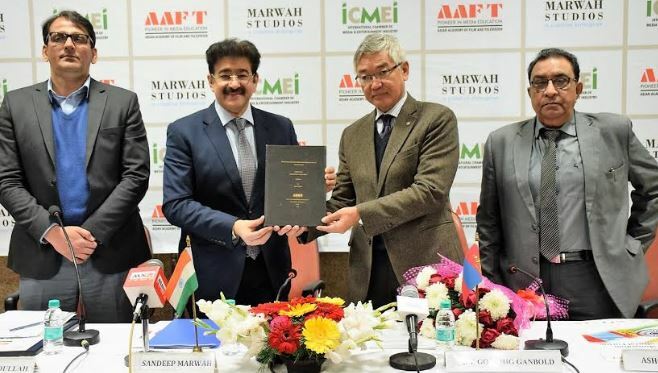 Dr. Sandeep Marwah, ICMEI, Marwah Studios handed over the first scholarship of a short-term course of Asian Academy of Film and Television to Ambassador Ganbold for a deserving student from Mongolia. 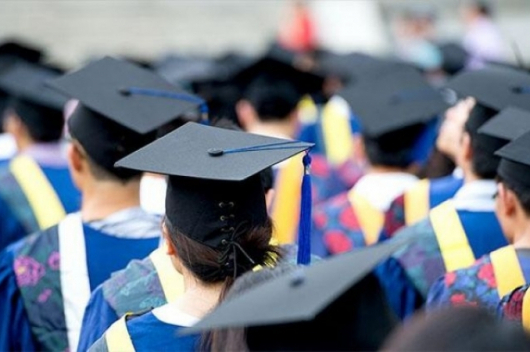 This scholarship also includes boarding and lodging for three months. Dr. Marwah informed H.E. 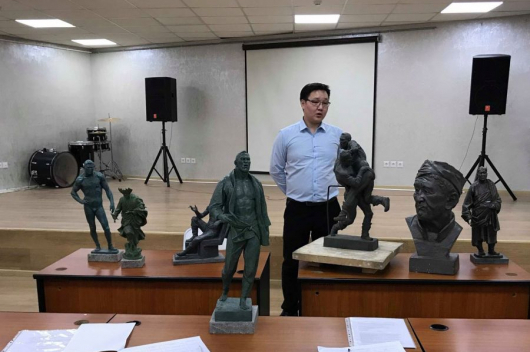 Gonchig Ganbold about the Mongolian student committee at the Asian School of Media Studies, which had undertaken a research project in the field of cinema and fashion. This research work was an initiative of the Indo Mongolian Film and Cultural Forum that was a joint creation last year by the Embassy of Mongolia and ICMEI. Marwah also presented the research paper to the Ambassador. H.E. Ganbold went on to address a group of students and media representatives where he expressed his desire to further build the bond between the two countries who have enjoyed cordial relations for almost 1,500 years.